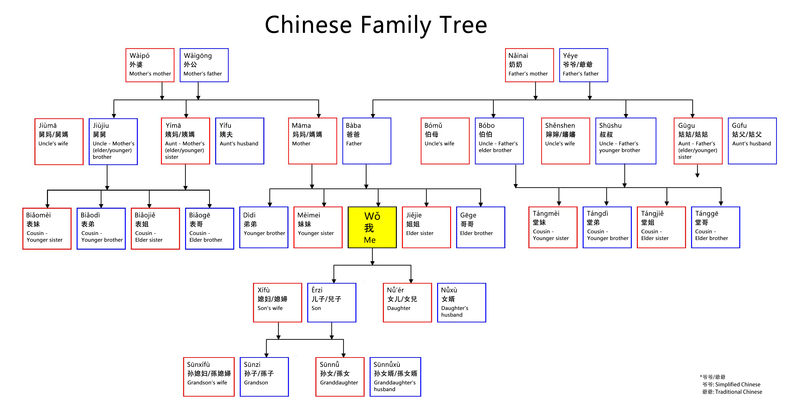 How to Address Your Family Members in Chinese? Family plays an important role in every culture, and it is a topic you will certainly cover when learning any new language. As you might guess, there are many terms used to describe relationships in a Chinese family, which can be quite confusing because terms differ depending on the side of the family. So how do you refer to your family members in Chinese, and how can you introduce them to others? Let’s find out! First, we need to learn what to call each family member. Wǒ yǒu … gè …. I have ……. Wǒ(de) … shì …. My … is a …. My son is a doctor. Learn How to Introduce Your Family Members. 1. What should you call your father’s sister in Chinese? 2. If you want to tell others you have a younger brother in Chinese, you should say _____. Want to Learn More about How to Say Family Members in Chinese?